Brought my camper over to my parents house this past weekend to install a weight distribution hitch, and since it's a toy hauler i HAD to have my 650 in the back to set it up properly. As the title says it was a mini ride (a handful of pulls down my parents dirt driveway). 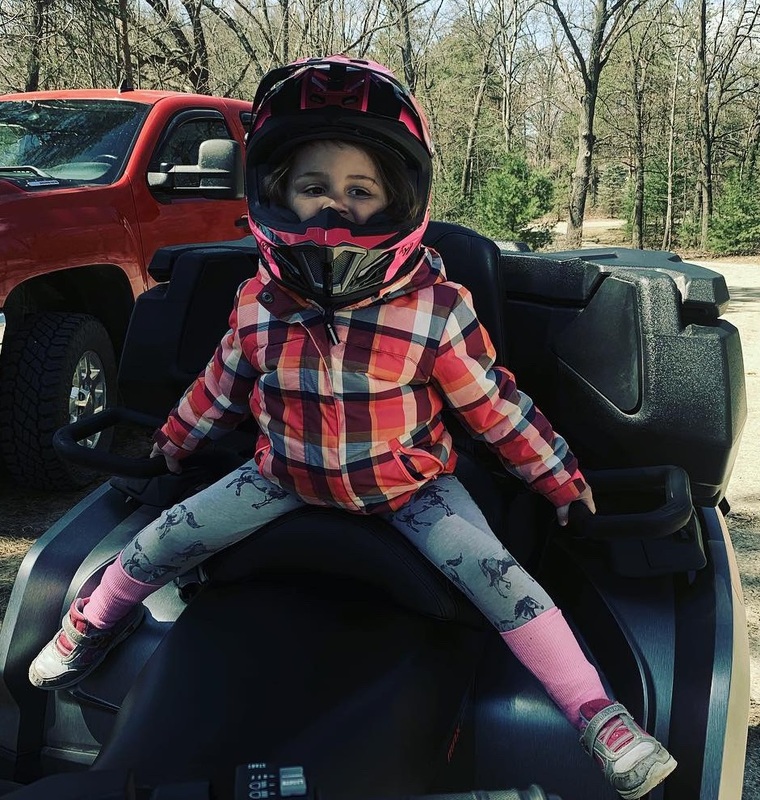 But more importantly my 4 yr old monkey (she dressed herself that morning lol) got a couple high speed (15-20mph) rides on the back with her new helmet on, and even more importantly some Papa bounding time. DaleD and BombardierBomb like this. 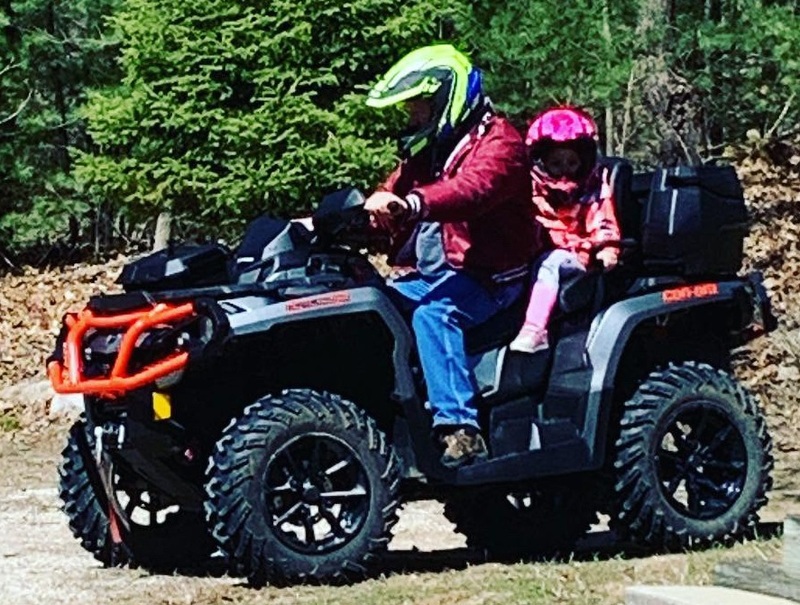 love seeing the youngsters enjoying "our" hobby as much as we do. 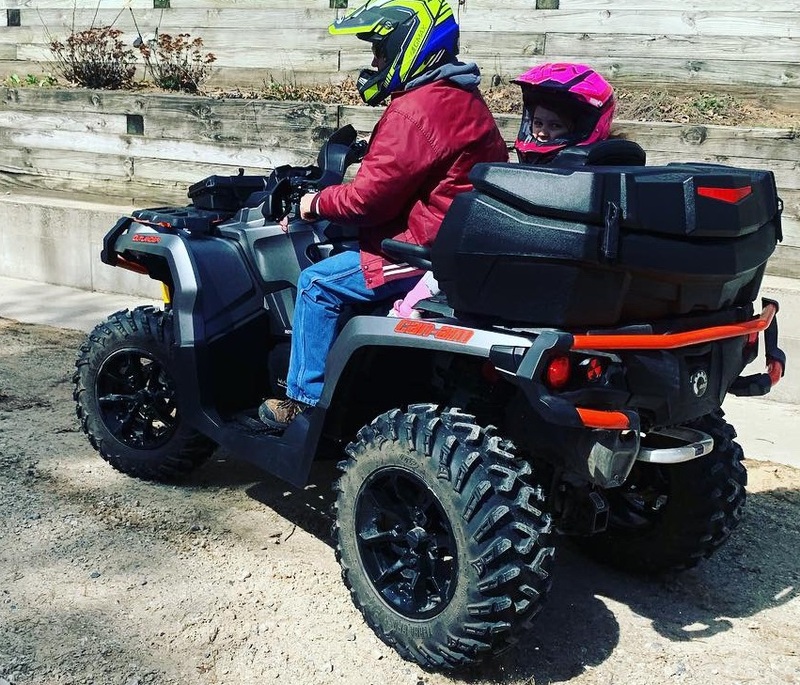 she has been in love with the quad since the day i brought it home.. when i opened up the toy hauler to show it to her, she climbed right in the back seat, and grabbed the handles wanting a ride. Everytime i walk to the camper she is hot on my heals, and hops in the seat. Can't even back it out of the camper without her on it..
Chief... and DaleD like this.